In 1943, a miraculous drug known as penicillin made its way into our world. WWII soldiers’ lives were saved. Simple infections no longer risked death. It changed everything. The development of new antibiotics continued, becoming more widespread and saving millions of lives. Now, antibiotics are essential to all modern medical technology, especially for enabling recovery from surgeries. Every time your body is exposed to an antibiotic, the most sensitive bacteria are killed and the remaining get the opportunity to learn how to mutate. Since antibiotics do not discriminate, they kill both good and bad bacteria, ultimately weakening your immune system and leaving the stronger ones to flourish and multiply without good bacteria to balance them. Not only are we giving ample opportunity for antibiotic-resistant “super-bugs” to flourish, but antibiotics also cause permanent damage to your own gut flora. Recent studies are suggesting that the boost in antibiotic use could be what’s behind the increase in issues like autism, ADD, Alzheimer’s and other brain dysfunction. This is why a daily probiotic (helps promote good bacteria) and healthy, non-inflammatory diet are crucial. Having had pneumonia and chronic respiratory infections as a kid, I took a lot of antibiotics. While they may have helped in those cases, I was also prescribed many antibiotics when I didn’t need them- the most crazy being for acne for eight years… yikes! My immune system was essentially destroyed and I was sick all the time; medication & additional antibiotics couldn’t help me. Thankfully, the Lord healed me and I’ve since discovered how I can keep my immune system functioning properly through nutrition, supplements and essential oils. Now, my body is equipped to do it’s job and fight infections naturally; that’s a really good thing since I’m now allergic to nearly all antibiotics and can’t take them when I get sick. Resistance is an inevitable process that was fully expected, but it is occurring much quicker than anticipated. Why? Animals are pumped full of antibiotics to protect them from factory farming conditions and to make them fatter – 80% of all the antibiotics sold in the US go to farms and thus into the meat & dairy we eat. Avoid eating conventional meat, dairy and seafood from factory farms and choose antibiotic-free, organic options instead. Read more about why it matters here. 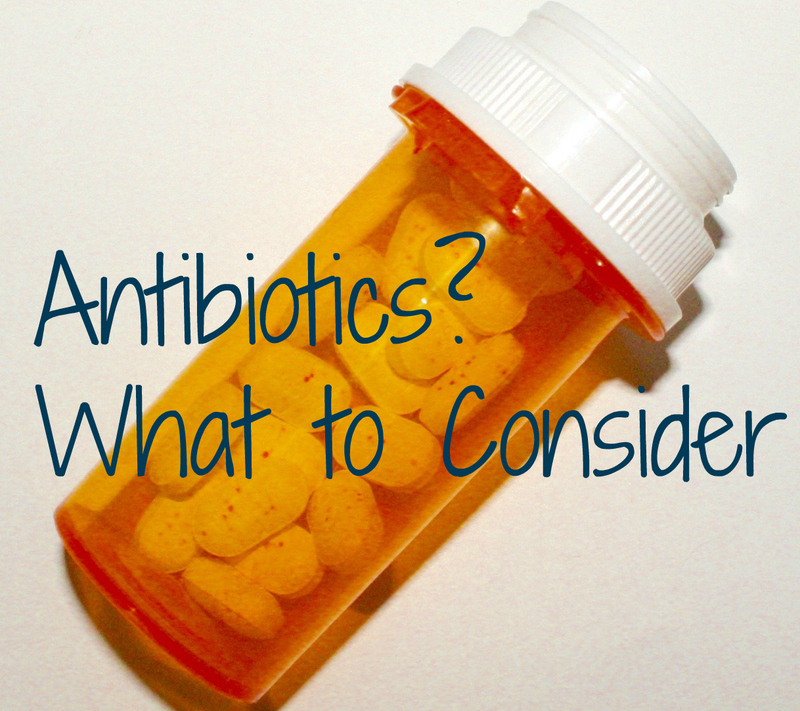 If prescribed an antibiotic, ask your doctor if it is actually necessary (is a bacteria or virus causing the infection?) or to test if the kind prescribed will actually be effective against that particular bacteria. If you have HBO GO/NOW, you should also check out VICE Season 3: Episode 6 for a real look at what antibiotic resistance looks like (preview here). Listen to the famous neurologist Dr. David Perlmutter speak on the Bulletproof Radio podcast for a fascinating discussion of why what’s going on in our gut actually affects the brain. Disclaimer: I am not a doctor and the above statements are not intended to recommend nor discourage any form of treatment. This post is simply meant to provide information so that you can make informed choices on your health.